So, Israel has to know that as long as it remains the occupier of the territories, it would remain the unquestionable enemy for the owners of those territories; and as long as Israel remains against the peace, it remains the enemy for all peace advocates. We, as the people the indigenous People of this region want peace. It- peace agreement- has to be comprehensive. The Syrian-Israeli agreement could be important step, but it’s not the final step because there is big difference between talking about peace treaty and peace. Peace treaty is like a permanent ceasefire. It’s not comprehensive. There’s no maybe you have embassy, but you actually won’t have the trade. You won’t have normal relations because people will not be sympathetic to this relation as long as they are sympathetic with the Palestinians: half a million who live in Syria and half a million in Lebanon and another few millions in other Arab countries. So comprehensive peace on the Syrian-Lebanese and Palestinian tribe this is going to be the real peace where you have normal relations. This is where we can bury the hatchet, not only to have peace treaty. So that’s how we see it. So definitely, the one who occupied the land should withdraw because my land is like my property. And if you have a thief who takes your property, you don’t make compromise. You tell him first give me back my property, my things. Then we can discuss any compromise. You don’t discuss the compromise with the thief before having your things returned. So that’s how we see it. So the beginning is to end the occupation. We don’t have any conditions. There is only one condition which is international condition, which is the Security Council resolution on which the whole peace process based in 1991. So we don’t have any condition, but we have rights. And rights we don’t discuss. It will go back. Let’s put it this way: if someone stole something from you, would you want all of it back, or would you be satisfied by regaining only part of it? We can accept many compromises: on matters of security, on the relationship. But on the land, no: there is no compromising over the land. As for the last part of your question, compromises are always present except when it comes to the rights; that is if somebody robed your properties, you might accept a compromise in a certain direction; but would not accept that he -the robber- would restitute to you part of your properties; he should restitute all the properties in full. Compromise could be made as far as other aspects. Thus, the land should be restituted fully, any other thing like relations, security arrangements and all other details have in them compromise. The main source of the problem is Israel's occupation of others' land; there is the occupation of the territories, naturally reactions from the citizens would appear. 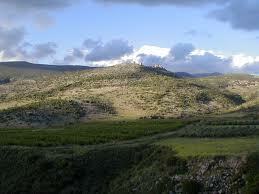 Israel should withdraw from the territories, which it occupied, and sign a peace agreement. Syria's belief in just and comprehensive peace doesn't mean relinquishing a speck of soil or a drop of water. We have to believe that only peace can help us. We have desperation especially regarding the peace process because we always say no to anything which is not methodical. When it is methodical, we will be ready to move right away and this evening. It does not need preparation." Peace is when you have normal relations, when you bury the hatchet and when people can deal with each other. This needs lots of steps and a lot of support. At that time, the arbiter should perhaps have a more important role than during the negotiations. There is one reason preventing the achievement of peace, which is occupation. So, occupation is the cause of all wars, First the English, then the French, and now Israel. In short, Israel must apply all the UN Security Council resolutions and return the occupied lands to our people. We always express our opinion clearly and publicly and affirm that we want peace and the agreement; but we cannot achieve this only from one side, and the other side must participate until now, there is no partner of this kind. The result is that the Israelis chose a government that advocates extremism, and this government doesn't bring peace. The absence of peace, due to the Israeli policies and despite Syria's relentless efforts to achieve it, aggravates tension and undermines Syria's endeavors for development and economic prosperity. The Syria Times takes pleasure in publishing some of the just, accurate and exact statements made about H.E. 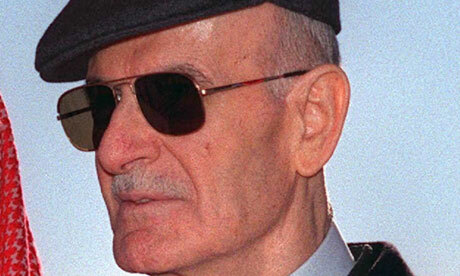 President Bashar Al-Assad since the untimely demise of Syria's great builder, the late Hafez Al-Assad, the father of modern Syria. Still the memories and bitter tears of June 10th 2000 alive inside the lucky among the Syrians who have had the opportunity to be eye witnesses to the late Al-Assad's epic of steadfastness, correction, liberation and resistance. The Syrians who in millions took to the streets on that day are but to take the streets and in more numbers celebrating the victory of all Syria and Arab masses and the free world against al-Qaeda Wahabi and Takfiri terrorism. 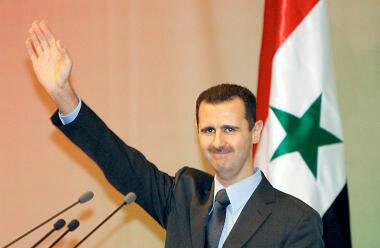 The millions along with their post-2000 born family members are now to chant ''Allah, Syria, Bashar''. 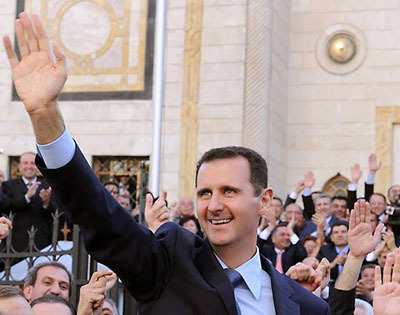 Bashar has proved himself to be not only the man of humanity, hope, amity, fraternity, salvation and safety, but as the invincible President of all presidents and leaders. 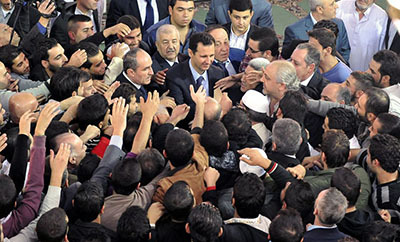 His Excellency President Al-Assad ''came out of the people and lived with them'' and has remained one of them. The Syrians have seen him ''everywhere whether in the work place or on the streets or in your picnics in order to learn from you and sharpen his determination by his contact with you and shall work for you as he has always done. Syrians' Ballots NOT Wahabi Bullets. Joy in the eyes and hearts; the majority is smiling. Press is to convey things, events, feelings as they are depicted, felt and seen on the ground. I felt this joy around me, in every corner, house, zone and street. The Syrians are happy organizing spontaneous gatherings, dancing, singing, hoisting the Syrian flag and the picture of President Bashar Hafez Al-Assad. Who can force these people to dance in the streets, and under the shells of terrorists? The Syrians are doing so celebrating their nomination of their President and the candidature of their beloved president to the Presidency. Equal distance from all candidates, The Presidential Media Office urges. 11 candidates by today, OK. This is our democracy. Equal media coverage for the candidates. Information Minister asserts. 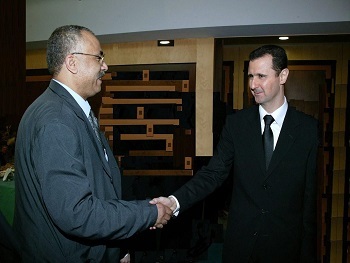 OK. One candidate is however most feared from abroad and most beloved and trusted in inside Syria. Most feared abroad because he is the thorn in the throat of cannibals, colonials, ewes , occupiers and half men. Most beloved in Syria is because he has proved himself as the Syrians' hope, future, guardian, custodian and construction. 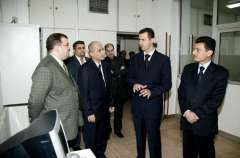 Actually one of the main reasons why President Al-Assad is feared from abroad is his moderate, civilized, transparent, nationalist, resistant and peaceful nature, approach, and thought. 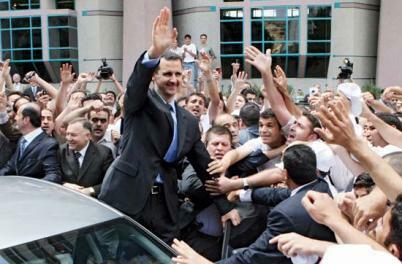 So, those abroad are to lash out the coming presidential elections, knowing that President Al-Assad is to be re-elected. 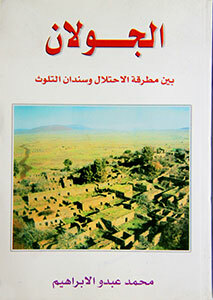 The Syrians are to elect their president and have no right to elect a president for the French, US. Accordingly these countries should have no right to interfere in our presidential elections. Whatever the elections transparency and democratic nature might be, the dogs will bark; the train of the Syrians is ,however, speeding up to the destination of the best tomorrow with the best President for all, H.E. 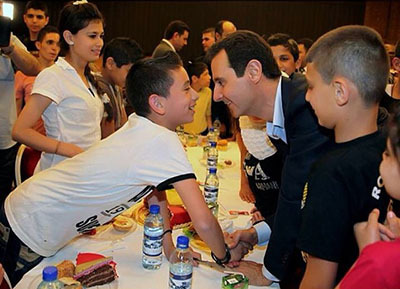 President Bashar Al-Assad, says my son, Hafez. The Syria Times takes pleasure in publishing some of the just, accurate and exact statements made about H.E. 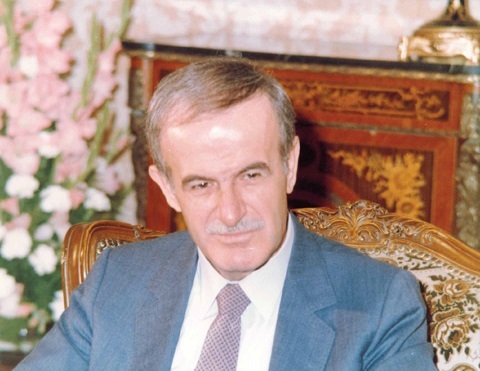 President Bashar Al-Assad since the untimely demise of Syria's great builder, the late Hafez Al-Assad, the father of modern Syria. Still the memories and bitter tears of June 10th 2000 alive inside the lucky among the Syrians who have had the opportunity to be eye witnesses to the late Al-Assad's epic of steadfastness, correction, liberation and resistance.